I should also note, my nephew drove my car from Dallas to Orlando as part of a household move, and he had no problem managing the clutch inspite of never having driven a multi-disk clutch. However, I did spend some time teaching him how to deal with the short engagement travel of the clutch pedal, but it only took about a half hour for him to get the hang of it. 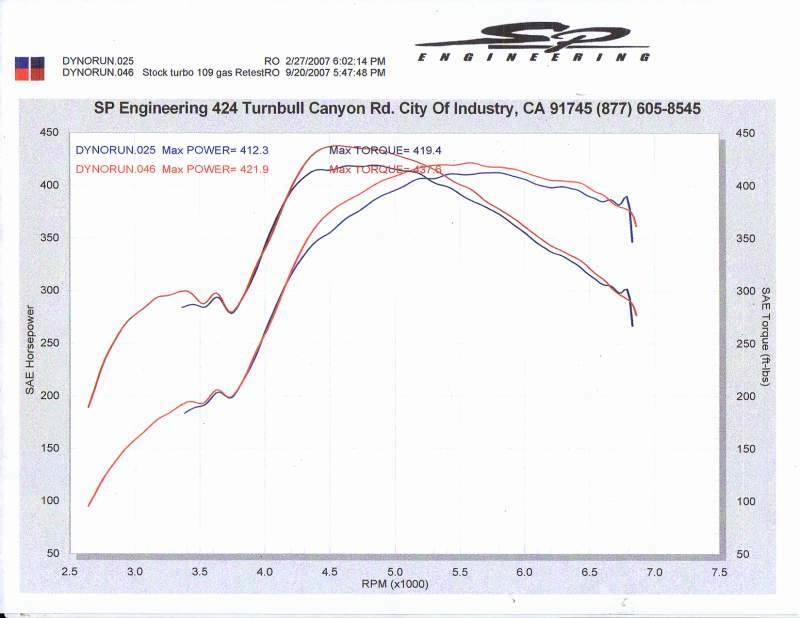 My car at full boost puts down about 840whp and 670 ft-lbs of torque. Consequently, I need a Tilton and have no regrets about installing one. Last edited by motorheaddown; 07-31-2008 at 12:08 PM. Last edited by Nick 95 6sp; 07-31-2008 at 02:56 PM. I have the OS-Giken Triple although it's in a 7m I love it and have had no issues whatsoever with it. And the car is making over 750 rwtq. I haven't dragged raced it, but I've put down 700+ RWHP with my HPfreaks Bronze clutch w/ACT pressure plate and road raced with it multiple times, and know of a fairly serious road racer that has used for years with probably 10 events/year and no problems. It's great on the street and road course, although the engagement is short and takes some getting used to. But with practice you can drive quite smoothly (much smoother than the Feramic). I've grown to like the feel, including the stout pedal effort, feels very solid. I love the Tilton. It took just a short while to get used to it's short engagement zone that is close to the floor, but I now find it very easy to modulate, and it makes other longer stroke clutches feel awkward to me. Admittedly it's expensive, but unless I have seat time with another clutch that proves satisfactory to me prior to purchase, I will not buy another clutch. Here's a post I made in the RPS C/C Strapless thread in the Parts and Shops subforum regarding some of what is being discussed here. Hope it helps. I'm stuck in a bad place myself... trying to decide on a clutch for the 600-700 whp range so it will work for now and hopefully be ok later too... but whats the answer for a street clutch? The RPS was the answer, but after all this its not something I'd feel confident in any more. I havent read much other info on other twin plates even though someone did recommend a carbonetics to me. Is there anything out there that I'm missing? Are we back to the drawing board with single discs and heavier pressure plates? Or does that have its own drawback in the form of an increased possibility of crank walk? Ehh if this is going off topic then sorry, but I feel like there is a void in the Supra world for a higher hp clutch thats not a dedicated drag racing setup, unless there's something i'm missing. At the moment, for lack of a better solution, I'm planning on just going with a moderate single disc setup which should be ok for now, but probably wont be for later. OS Giken twin, triple or quad disc clutches. I have the twin in my BPU car which will hold the torque of the T04Z if I ever go that route. I had the triple in my black car before going stroker and I sold the triple and had the quad disc installed when I went stroker. Don't know what they are now, but I had the triple rebuilt once and it was expensive. I'm gonna be inspecting the quad disc in the middle of next month since it's been in the car since 2004 and has been subjected to many more bumper-to-bumper miles than my triple ever experienced. I believe my OS Giken twin-plate in my red car is easily daily drivable and I use the car as an occasional daily. I drove an OS twin many years ago in about 1996. I do not know whether it is because OS Giken made changes in the interim, or I just more used to the clutches, but my OS twin is more user-friendly than I recall that clutch in 1996. Blitz Twin-Active (twin disc). Excellent clutch with lighter than stock pedal pressure. Will hold all the torque a 67 mm will dish out. Several of my friends have this clutch and all have had good experiences with them. I believe this is the best DD twin-plate clutch of the major Japanese manufacturers. The biggest downside to this clutch for some is the noise it makes. That's not a problem for me, but may be for some others. I hear good things about the Carbonetics twin and triple carbon clutches but have no direct, or indirect experiences to draw upon. The Japanese multi-plate clutches are more road-race biased than drag-raced biased. They are, generally, not slipped as easily and do not take well to slipping. They can handle the track, canyon carving and long highway pulls quite nicely, though. If a guy likes to occasionally drag race, my sense is that the HKS triple is probably the best at this and may be able to handle more than occasionally depending on the driver. Getting used to their launch from a stop characteristics can be a real challenge for some, but my sense is that the current offerings are better than the stuff I had installed in the mid-late nineties. I base this, in part, on the relative ease that three of my friends have taken to the OS Giken triple, one with a T04Z, another with HKS 2835 twins and the third with a GReddy T-88. It's VERY difficult to make clutch recommendations to other board members, because one man's dream is another man's nightmare. Know this, though. If you want to make the power, there will be tradeoffs one has to make and clutches for our high powered cars is one of the main tradeoffs, especially if a guy is graduating from a stock or stock-like clutch. With all that said, I hope this helps. Thanks for that post Ken, very well written. +3, When I don't drive my car for a week or two the first few times I go from a stop I look like I just learned stick. Does anyone else find that the engagement is right at the top of the pedal travel for the most part ? I think thats the most PITA part for me. Otherwise I've put almost just over 4k miles on it in 1 year, and 5 passes at the track. Granted I'm not that great at launching and was on street tires, but it's held. I'm only at 500whp though, best trap was 121.8...probably a bit lower than your goals . Im very interested on the OS quad . who sell this clutch ? and how much does it run ? No longer a victim of the RAKE syndrome!!! HPF - $2400, which is still cheaper then RPS C/C Timebomb, anyone know of any other sites ? they only show the triple, im more interested on the quad , anyone knows who will stock them ? Last edited by lgp927; 07-31-2008 at 03:41 PM. Sounds like a nice setup, here is what one of the AU websites says. I'd think anyone would be able to get it, but I doubt anyone would stock it. Not sure though. For the most extreme drag-racing applications, while retaining street drivability, the OS Giken R4C clutch is unbeatable. Power handling is well in excess of 1000hp. In fact, it has been tested in drag cars with over 1200hp with no slip apparent. However, due to the multi-plate design, it is still surprisingly drivable for street applications, retaining the same clamping force as the R3C design. Like the R3C, it uses a lightweight chrome-moly flywheel, gold-anodised billet aluminium clutch cover and the necessary bearing/carrier set or pull-push converter kit is included as required. Through the research and development of high performance engines, OS Giken realized that the production of durable, higher quality clutch systems is essential. OS multi plate clutches can transmit increased engine revs and torque output to the drivetrain without loss. The research and development has been continued since the first introduction the OS Giken clutch series in 1983. They are made from the highest quality materials, with durability that is second to none. The extensive model line up is sure to meet your needs and produce the best result for your engine. Despite using smaller plate diameter, OS Giken clutches achieve efficient power transmission, along with better engine response. Revising the factory leverage mechanism of the diaphragm spring provides higher pressure on the clutch discs while reducing pedal effort. Ventilation holes are designed to reduce heat generated inside the clutch housing. These holes also let friction plate dust out of the clutch system, increasing reliability and safety. The OS Racing Clutch friction plates are made of heat-treated metal. These materials are carefully selected and alloyed so that the plates match with the flywheel and center plate material to improve durability. Through the research and development of high performance engines, OS Giken realized that the production of durable, higher quality clutch systems is essential. OS multi plate clutches can transmit increased engine revs and torque output to the drivetrain without loss. Gets old quick if you want to relax a little on your drive. I believe The Quickness on these forums is using a carbonetics, i think he made a thread in product review section about it. May be worth asking him how its going now. Last edited by T_Terror; 07-31-2008 at 06:05 PM. I have nothing good to say about HPF Feramic. And everybody that has driven my car has the same feeling. Not fun at all. Ken, How is the Os Giken twin disk in comparison to the Blitz Twin Active? How about engagement noise comparison? I'm running the Carbonetics/ATS triple disc in my GTE/Getrag swapped SC300. I've driven the HKS twin disc, the Exedy carbon multi disc, and OS Giken triple disc, and the Carbonetics clutch is by far my favorite. The Giken was great, and held power nicely, but the triple carbon ATS unit just feels great daily driving. It slips very easily, and although it's noisy (something you can't avoid when getting rid of the dual mass flywheel, and also hearing the floaters rattle), I think it's worth it for the driveability you get. I never really cared for the HKS twin disc, and I've had a few issues with Exedy clutches, although they did take care of them for me, so from my experience, the Carbonetics is the way to go. BTW, my SC is my daily driver, and I take it everywhere. Freeway, Atlanta traffic, etc. The only place I haven't tested it is at the track, but that will come soon enough. KH is posting factual info. KH FTMFW!!! VERY close at this point. The Blitz has the edge in initial engagement and slightly softer pedal pressure. The Giken is not nearly as noisey, has pedal pressure only slightly more than stock and can probably be beat on a bit more, although the Blitz is no slouch in this regard. For some reason the idle on my BPU car is higher than stock and I've never adjusted it. I mention this only because at idle, you have to listen very closely to tell that it is a multi-plate clutch. When depressed, the Blitz is much louder than the Giken, although I personally do not find it objectionable. I know you just finished install the Blitz in your car. What are your initial impressions? Thanks for the info. I've been waiting to hear something reliable from Carbonetics users. What's your set-up and how much torque is the Carbonetics triple rated for? TIA. Thanks, mang. Just trying to help out my Supra bretheren. I've driven 2 Supras with the RPS C/C clutch. One being Ryan Hoskins old sheet metal Wideboy that is currently owned by Amit here on the forums. This particular C/C had 15k hard miles on it and was very slippable and easy to drive. It was harder to get the car going though as the clutch grabbed very hard at initial bite. I probably drove this car 500 miles total when it was owned by the previous owner. 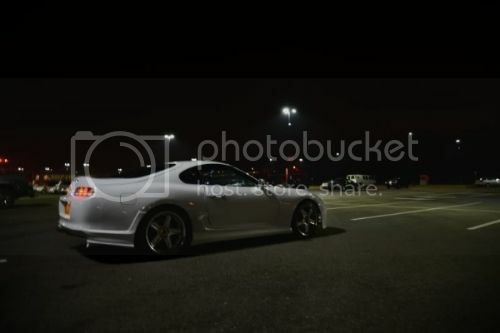 My personal Supra also has an RPS C/C as it was recommended by Dusty, basupra, Suprafied, and several others on this forum that have had good luck with it. My personal C/C is newer then the one in the widebody listed above and may be of a different design. It is very easy to drive, in fact I would say my car drives like a stock Supra clutch. I love it. I've got 5000 hard miles on it with no problems. I can only speak based on my experience. So far I am very happy with it. The engagement is excellent. The engagement is slightly shorter than stock, but equally as smooth. The idle is quiet, no chatter. My car idles at 1k. I adjusted it to cope with my last clutch setup. I may back it down to around 800rpm. While driving, you don't notice the noise. Where you notice it is in parking lots and very slow engagement. It isn't enough to bother me. A passenger thought I had an exhaust rattle coming out of my driveway. It is very streetable and is more than capable of holding the power I would ever send it. My car is occassionally driven at about 17psi. I have a t67 p-trim with an H cover and .68 exhaust. After this clutch, I think I am done with single disk clutches in the Supra. Unless I am broke and have no choice. If I put another car together in the future. I may try the OS Giken. I have heard nothing but positive reviews. I wounder if the noise is exclusive to push type clutches? The way they are designed would pre-dispose them to some noise. The throw out bearing the way it rides on the pp when it is engaged is a fairly crude method. I wonder if it is the chattering disks or the pp engagement point that generates the most noise? It seems like a flat solid friction surface on the pp for the bearing to ride on when engaged might quiet it down a bit. Last edited by Morefaster; 07-31-2008 at 10:07 PM. I'm running a 4094R, AEM, stock motor, stock fuel. 540whp/500wtq, 19psi on pump gas. I'm waiting on fuel/cams to get here, then I'll turn the heat up a bit, but at this point, I'm pretty much at the limits of what my fuel system will provide. Carbonetic rates the twin disc to a maximum of 900ps, and the triple to a max rating of 1500ps. I don't plan on exceeding 750whp at any point, but I wanted to make sure I had enough clutch and never have to worry about it. Oh, another thing I noticed was that the car starts MUCH easier now. Every car I've ever had that had an AEM had the "extra long" cranking time, but as soon as I put this clutch in, that went away. The only thing I can attribute it to is that the weight of the clutch, compared to stock, is much lighter (50lbs stock vs 32lbs for Carbonetic). Maybe the extra weight off the crankshaft allowed the motor to turn over easier. That's just speculation though. Either way, it drives incredible with the triple disc, and starts right up with no extra cranking time anymore.